At Ushuaïa, Tuesday, from 18 Jun to 24 Sep. Dimitri Vegas & Like Mike welcome you to Tomorrowland. 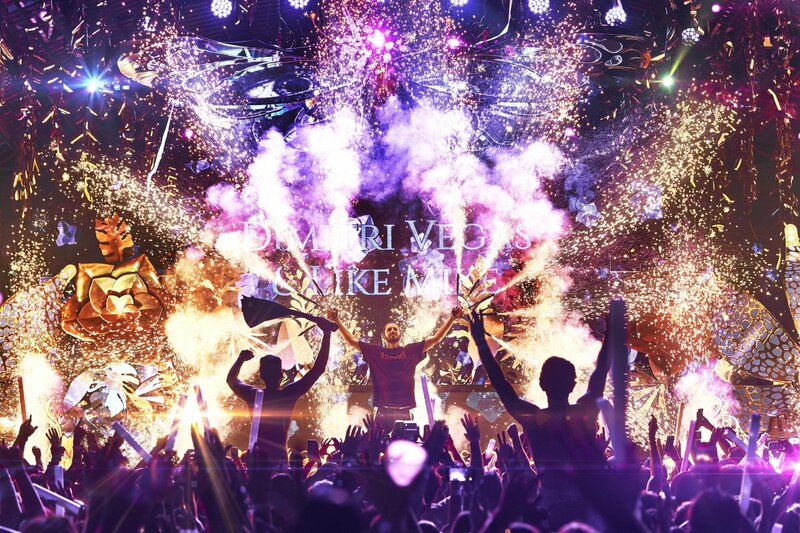 When leading festival Tomorrowland, open-air luxury venue Ushuaïa and EDM masters Dimitri Vegas & Like Mike join forces, the result can be nothing short spectacular. This unique collaboration turns the Playa d'en Bossa day-to-nighttime event into a proper EDM wonderland of spinning lasers and confetti cannon explosions. For this event, prepare to see Ushuaïa transformed into an open-air festival. Together with the Belgian duo, these powerhouses rank amongst the most influential names in dance music. The storybook union brings about bewildering stage setups and fantastical production while showcasing leading dance music figures. The award-winning duo, Dimitri Vegas & Like Mike will obviously be headlining (except for 17 September). More than only DJs, the pioneering brothers whip up the crowd with a combination of MCing and dance bangers in their live performances. They are regularly joined by an international roster of superstar A-list DJs amongst the world's favourite EDM acts. In previous years, big names the likes of Diplo, Steve Aoki, Steve Angello and Lost Frequencies have all stepped up to the booth. As Tomorrowland celebrates its 15th anniversary this year, it is determined to make it its best ever, taking the event to a whole new level for summer. The theme of the party symbolises universal connection within dance music. You can experience this EDM extravaganza from Tuesday 18 June to 24 September. Check the calendar below for up-to-date confirmed line-up details and tickets.